Ever since I got a taste of some of the latest compact cameras from Fuji, Sony and Nikon, I have been thinking more and more about where we are headed in terms of cameras and lenses. What is the future of digital cameras and where will we be in 5 or even 10 years? This question came up in my conversation with a fellow photographer, so after discussing this topic for a little while, I decided to put some of my thoughts together and come up with what I think the future of digital cameras will be like. Before Panasonic invented the first “mirrorless” interchangeable lens camera back in 2008, we only had three primary categories in the market: point and shoot cameras with fixed lenses, film or digital SLR cameras with interchangeable lenses and other specialized cameras – three primary categories separated mostly by price and features. Then came the mirrorless. The first interchangeable lens cameras did not receive as much attention initially, because most people were rather skeptical of the new product breed. With point and shoot cameras varying in size and capabilities, even having SLR-like features with “bridge cameras”, it just felt like we did not need another camera category. But as the product continued to advance and mature, more and more photographers started to realize and embrace the benefits of a compact system. Less bulk and heft with near-DSLR image quality. In a relatively short period of time, interest in such a system spiked up. The mirrorless market showed tremendous growth and those who were in it were rapidly gaining market share, according to market research from respected research organizations. Seeing this as a potential loss of opportunity, Sony and then eventually Nikon also entered the market with their own mirrorless offerings and Canon is rumored to release a mirrorless camera system later in 2012. Clearly, the mirrorless market is set for a lot more growth going forward and eventually will surpass the DSLR market share globally in my opinion (it already has in Japan as of 2011). Simultaneously, we were introduced with high quality compact cameras in smartphones that also pack photo editing tools and other goodies; but most importantly, they are connected to the Internet. With social media taking over a big chunk of the Internet (with Facebook surpassing Google in traffic), it is very convenient to have a smartphone that can take pictures that one can instantly share with friends and family. Why buy a compact point and shoot camera that makes average pictures, if our phones can do more or less the same? Convenience clearly wins and the compact point and shoot market is slowly starting to disappear. Digital camera sensor technology has significantly improved and advanced during the last 5-7 years. Image quality from a cheap camera today looks better than from the most expensive and advanced cameras with bigger sensors that are now antiquated. This has to do with a combination of factors – not only are we much better at manufacturing high-quality sensors with tiny pixels, but we are also much better at tweaking the output from those sensors. Resolution has also significantly increased. My first Kodak DC-50 digital camera had a 756×504 resolution sensor and it was a beast. Today, my iPhone takes better pictures than that and it is about 20 times smaller in size! Hence, the size of the pixel relative to the size of the sensor will continue to get smaller and smaller, while image quality will continue to get better. We see an interesting trend today – smartphones are taking over the point and shoot market, while it seems that mirrorless will naturally be taking over the DSLR market as well. With the world being more connected than ever, I strongly believe that it is a matter of time before point and shoot cameras with small sensors completely disappear. Nokia is already using a 41 megapixel camera in their Nokia 808 PureView cell phone, so we will surely be seeing more smartphones in the future that will compete head-to-head with point and shoot cameras. Computing is quickly transitioning to smaller, thinner and slimmer hardware through tablets, so we already know that the future is with smaller and more capable devices. And if you really want to step into the future, check out Google’s Project Glass. What about the mirrorless though? Will DSLRs be soon replaced by mirrorless cameras? I believe that we will see a big shift in camera technology within the next 5 years. I am confident that mirrorless will take a significant share away from the DSLR market. 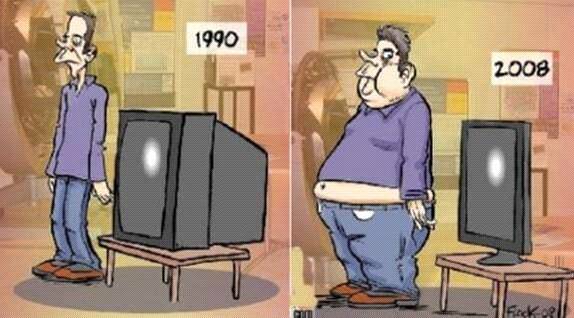 It is a natural progression considering Moore’s Law. Once mirrorless cameras get better in autofocus, EVF, processing power, battery life, shutter lag and have more in-camera features, most people will be choosing them over DSLRs – for weight and bulk reasons alone. Does it mean that it will be the end of DSLRs? No, I believe DSLRs are here to stay for a very long time. Let me explain. Ever since the Nikon D800 came out, a lot of photographers have been dubbing it as a “medium format killer”. While the D800 is truly a revolutionary camera as I have pointed out in my Nikon D800 Review, it will never be a medium format camera. And while it will probably hurt the sales of medium format cameras in the short term, it certainly won’t kill the MF market. Not even close. If you have ever shot a medium format camera before, you already know where I am going with this. From simple physics (physical sensor size, diffraction, depth of field, etc) to resolution, image quality, color depth and dynamic range, a larger sensor will always have an advantage over a smaller sensor. Wouldn’t you agree that if you took the D800 sensor and more than doubled its sensor size, it would make a phenomenal medium format camera? Pretty soon we will see some very high resolution MF sensors, so again, it is just a matter of time. Mirrorless cameras are built to be compact and they cannot quite compete with DSLRs in terms of sensor size, just like DSLRs cannot compete with MF. We might see a full-frame mirrorless at some point in the future, but that would make it far from being compact. The camera body might be smaller due to lack of a mirror and pentaprism, but lenses will still have to be big to accommodate a large sensor, making such a system tough to balance and handle. And by the way, I do not put the Leica M9 in the same “mirrorless full-frame” camera category as above, since it is a rangefinder with no autofocus capability and its price point is very high, putting it in a “specialized” category instead. In addition, we should not forget about the advantages of DSLR cameras for specific situations such as sports and wildlife photography, where high ISO performance and autofocus speed/accuracy are critical. I just don’t see manufacturers making compact 600mm lenses anytime soon that can focus as fast as current professional lenses. I am not saying that it won’t ever happen, but it will take us a long time to get there. Lastly, DSLR cameras do not have to die. Just like medium format coexists with full-frame, I believe mirrorless will coexist with DSLR. Think of it as a compact car and a 4×4 truck – both have their uses. As I have said above, I believe mirrorless cameras will dominate the digital camera market in the future. Most typical consumers will choose mirrorless for weight, size and better in-camera technology factors, while others will continue to shoot with DSLR and Medium Format cameras, or shoot with both. In a way, it is already happening. Many pros have either settled on a compact everyday mirrorless camera, or are in an active search for one. I am personally still shopping for a good system to fit my needs. Why do we want mirrorless cameras? Because too much is happening in our everyday lives and carrying a large, heavy and expensive camera in a backpack all day long, which causes back, neck and other injuries is not turning out to be a very pleasant experience. I find myself often leaving my DSLR at home for this very reason. So why not have a lightweight mirrorless camera that I can take with me everywhere? It would become my primary photography tool, while I would still rely on my DSLR camera for serious, commercial and demanding work. With the Internet affecting our everyday lives, integration of everything around us will become a necessary evil. In the next five or more years, I expect many digital cameras, whether mirrorless or DSLR to have the ability to share photographs over wireless networks. Nikon’s recently announced D3200 can share photos with another device via a wireless adapter, so I suspect these kinds of connectivity options will soon become standard among manufacturers. What do you think about the future of digital cameras? Do you agree with me, or do you have another perspective on the subject? I had the same thoughts. Even about the daily mirrorrless camera and keeping the DSLR for serious shooting. In my long and huge research and changing several cameras, I stopped to NEX-7. I find it very, very easy to operate and it has something similar to my D800 (the resolution advantage). Passing through the advanced P&S, 4/3 I ended up with the NEX. Again – no regrets so far. The problem (only) is the bulkiness of the lenses (as you also mentioned). But still the overall size is way smaller than carrying around a DSLR with few lenses. Again, I would not compare both systems, speaking about quality, but for walk-around I found NEX-7 to be my new friend. Having P&S camera these days is just a waste – since my phone is taking better pictures. So, yeah, let wait and see what the future will offer. May be some of those “smart” glasses…? please let us know what mirrorless system you go with..
i went with the NEX-5N and while it saved me a few times I can’t do with its focusing system and speed and lack of buttons.. so my wife uses it mainly .. i’m still sticking with my D300/D3 and lovely nikon glass ..
NEX-7 will solve all these problems for you. Buttons, enough for everything and all assignable. AF/MF or DMF, which has that instant MF override with zoom assistant – extremely cool!!! I know it is expensive, but for a person who knows what he wants – that is the camera to go with! Thanks Stephan, as you say I couldn’t justify the price especially that I haven’t decided to “invest” in a mirror-less system yet..
yep, it’s a tough decision, but I don’t regret now. In fact NEX-7 is the ONLY camera besides My NIkon’s DSLRs and the Nikon’s P7000/P7100 that I like so much. It’s like having a small D800 in your hands. In more cases even more convenient. In fact I love NIkon and I really wanted to have the V1 for that purpose. I bought it and then returned it – besides the fast AF and the fast fps it’s not what I wanted. I am contemplating a micro 4/3 system, why did you move from µ 4/3 to NEX 7? What was wrong with those cameras? One simple thing – the image quality. I found the images from my Pen cameras not being sharp enough. Now with NEX-7 even with the kit lens the images are astonishing. It was fun using the pen cameras, but once I went out to shoot with NEX-7 – I don’t regret spending twice the money over the 4/3. In one word – I found the image quality of the Pen cameras to be just a bit better than the advanced P&S like P7100, G12, etc. And you already lose the zoom, the fast aperture and the compactness. So if I bring a bulky camera with me at least I wish to have the better quality of the APS-C sensor. And again, I don’t know any other camera to beat the controls of NEX-7. NONE! Even on the DSLRs you have to push more buttons (I shoot in M only) to achieve the same thing, what you can do with NEX just with one hand. An alternative to the NEX-7 in micro43 is the new Olympus OMD-EM5. Image quality is similar enough but in a smaller package (if you consider the size of the lens) plus a much wider assortment of native lenses. Non-native manual focus lenses are similar for both platforms – although due to the crop factor work a bit better on the Sony NEX on the wider end. I returned the Nex-7 because I could not stand the EVF. I badly wanted to like this camera but outdoors in bright sun you can’t see what you are shooting (yes even with the rubber cup on). Also, there was a lag in the EVF (that I would probably be ok with after some time) and a lot of noise/static in the EVF in darker environments. And it feels odd that the viewfinder is black when you put your eye to it — takes a moment to come on once the sensor is activated. And battery life is very poor, powering the EVF and LCD burns up the battery FAST. Otherwise, everything about it was fantastic. You can always bring an extra battery or two, but no way around that EVF. It’s great compared to other electronic viewfinders, but not compared to a DSLR. I agree that mirrorless cameras will start taking a bigger share of the market. BTW, I hate calling these cameras “mirrorless” since they should be characterized not by what they lack but what they can be used for. If a full-frame mirrorless camera comes out in the next few years I might swtich. As resolution gets bigger and bigger the issue of shutter vibration becomes a problem. I am already seeing that on my D800 when I shoot @200mm with my 70-200mm, I now have to either shoot in live-view, Mup, or go into the settings and choose a 1 second exposure delay so as to avoid the blurriness the vibration causes. This problem gets much worse when I put on a 1.7x teleconverter. My one fear about mirrorless cameras is the ability of dust to get on the sensor now that there is no mirror in the way. Seeing my friends change lens and exposing the sensor to dust just scares me. Smartphone as a camera: Will perform better than the current point and shoot cameras. Mirrorless: These will become very popular. These will also become much more affordable. DX: All of DX cameras of future will have top notch AF system otherwise they have no chance of surviving against mirrorless. Pro level DX will be gone forever. FX: Will be extremely popular among professional. All the professionals (including wildlife, sports and action photographer) will use FX. MX: Medium format cameras under $5000 will start appearing and they will be much more lighter and easier to handle than they are today. We will also see nice operating systems like android on all the cameras. Nasim, however will choose a command line based operating system on his DSLR (with a keyboard) because it will give more low level control to him (just kidding!). Why do you need Android on a camera? I see no reason to have it outside of a mobile device and even there is it not that great an OS. Being a popular OS does not make it great. Just popular. I am not sure you understand the OS on your camera and the OS on a mobile device. They are not the same. Android is written for a TS for starters. It is also a bit more complex and required more computing power than what is currently on your camera. Again, it is a mobile device OS. If I want Android with a camera, I’d buy some HTC device and use Instagram. interesting article as usual nasim. your are so wise and write/think so well. what i am often wondering when i read your posts is: where do you find the time to write all of this stuff!? i admire you! Basin doesn’t the Leica M9 already have a full frame sensor in a “mirrorless” like body? Great reading, I enjoyed it. Thanks. Yes, I wondered that myself when I read Nasim’s article that ‘one day will see a mirrorless full frame.” Leica M9 has been out for a while, Nasim! A camera many of us would like to have. Great article though. Leica M9 costs 6500 dollars. Is it a real alternative? I don’t know, remember what D3x used to cost? $7999? What did D4 cost at start? What does 1Dx cost? Leica M9 is in line with these. No, I don’t remember… I’m new! Oded, to be honest, I do not consider the Leica M9 to be in the same category as the “mirrorless” I am talking about in this particular article. First, it is a rangefinder, second it has no AF and third, its price category in my opinion puts it in a “specialized” category. Technically though, it is a mirrorless full-frame camera, so I will make a slight correction to the article. there is an interesting thing I have noticed (from the top list of cameras sold by Amazon) – the mirrorless market is probably very much influenced by fashion now. I guess most of the people buying a mirrorless camera want a camera that looks good (not cheap), is capable of making good pictures and video, and they do not really care about changing the lenses. That’s probably why Nikon uses a relatively small CX sensor. SLR photographers may be upset, but most of the potential buyers don’t care. I think the big mistake of Panasonic is that they make cameras that look too much like DSLRs and their grey colour says “made of plastic”. On the other hand, it’s nice that there are several serious lenses and cameras for micro 4/3 comming. For me, m43 is the most interesting system, Sony NEX lenses are too bulky. But I would welcome if the Panasonic and Olympus systems were more similar – sensor stabilization, same direction of zoom rings. Great read there, Nasam! I’d have to agree with much of what you say. I have the Nikon D7000, but often opt to leave it home and take my Leica M3 and my Fujifilm X10. I find both of them afford me more spontaneous shooting for street photography as well as any other type shooting I may have that day. Yes, DSLR’s will be around, but I think the market is headed towards the lighter, smaller, compact mirror less image makers. I personally think that the Nikon CX system is the best compromise. The image quality is good enough and the lenses are much smaller than m 4/3 or aps. Its not so much about the body size as the lens size that matters. The bodies are about the same size in all those mirrorless. Plus I really like the ability to intergrate with existing Nikon lenses. V1 and J1 are a little quirky, but if they can really nail the MK II versions on these cameras in the fall, it will be my new system. I’ll likely have CX and FX and phase out DX. The only exception being if I need extra reach and pixel density of dx for sports or wildlife. That is still something FX can’t replicate with fast fps (D800 is only 4-5 fps). Well, I guess I will still have three systems after all, but the CX will be with me for Disneyland, hiking, about town, casual shooting instead of DX. Thanks for writing about what we are all reflecting on Nasim. I am definitely keeping a close eye on Mirrorless Cameras and expect that they might become my primary camera to take bird images. I expect that existing long lenses will be adapted or produced to fit these camera. All my work is hand held at 500mm so weight is critical. Some have already embanked on this with reasonable results. I am Android fan with many devices at home. I think the apps are what make the images appealing for “casual” shooting. So also take many images with my phone and tablet. I personally prefer something like Nikon Coolpix P7100 for Nikon users and Powershot G1X for Canon users. For the same reason that Nasim had stated, DSLRs will still survive for their advantages of reliability and mirrorless cameras will share the market for their portability. However, the mirrorless cameras are still too bulky because of the intercangeable lenses. I prefer a compact digital camera which shares and supports the same creative lightening system of my DSLR. A compact DC has more portability than the mirrorless. Since the light and a photograpger’s mind are more important than the camera itself, a portable compact DC plus a portable wireless external flash should be better. From this point, I prefer P7000 series (I’m a Nikon user). Of course, I do really hope that the future-coming-out P7000 successor can have a built-in wireless control system and a larger sensor size like Canon G1X. Of course, a cost less than 800USD is also important. I’m blown away by the quality of the Fuji X Pro 1 camera. If it weren’t for focusing issues on moving subjects, I’d sell all my DSLR gear. Certainly in the next 3-5 years this issue with be solved and we may never see significant upgrades to the Canon 1Dx, 5D mark III and Nikon D4 and D800. We’ll just see better lenses for the cameras. Other than Studio work or High Speed Sports Photography, why would you ever need anything else but a Fuji X Pro 1 once the focusing speed is improved? Thanks for the review Nasim. Now, could you please throw some light on SLT cameras, particularly Sony a77 ? If they really come to stay; what can replace the array of DSLR lenses we have? In fact in have 3 systems now. I shoot professionally here in New Mexico so i use my big rig for sports, events and crucial landscapes. I use my Panasonic G1 for my walk-about rig (i will be using it when I visit the Bisti Badlands this weekend – i have used a variety of cameras there: from film to the old Canon G1 – it will be interesting to see how it performs in this environment) but with care (proper exposure and a tripod) it is capable of professional results as well. i just recently bought a Nikon 5100 to replace my d300 – the sensor in the d5100 is so much better in low light – i will use this camera when i want a light rig to use my Nikon lenses on. What the camera companies fail to realize is that there is a serious market for a high end micro 4/3s system. Olympus might have it in their new OM camera but i heard that its continuous mode fails to be professional. Panasonic’s new 2.8 lens looks promising but I bet it will be very hard to obtain. Instead of marketing towards the low end market (such as the GF and G3 cameras), they should be focusing on the professional user. I think they would be very surprised in the amount of sales they would generate if they made this marketing change. Thanks for starting such an interesting topic. I believe that mobile phones will not replace the point and shoot market, there are enough people out there who want a pocket sized piece camera with more features or zoom function than a mobile phone possibly gives and some people who (gasp shock) just want a mobile phone to be a phone and not more (luddites that we may be). That’s not to say the P&S won’t be eaten into but I think that the option of a simple camera with 3 to 10 times zoom will remain commercialy viable. CSC / Bridge Cameras will remain and continue to eat into the lower end DSLR ranges as image quality and their super zoom lenses continue to evolve, but I think they are limited in how far up the scale they can go simply by the limited maximum apertures they can achieve with those 28-720mm lenses which stops them ever having a real creamy DSLR look. Electronic Viewfiner, Interchngable Lens (Evil) cameras (a.k.a. Mirrorless) will settle in between CSC and DSLR. The smaller sensor ones, like Nikon & the Olymus PEN will take a slice from the upper end CSC and the APS-C sensor sized ones will probably replace the entry level DSLR ranges (so no more D3200 and maybe D5100), at least once there is a more complete range of lenses. The high end APS-C DSLR range will remain in DSLR format for Higher end amateur sports and wildlife shooters, partly the EVFs I feel will never be 100% right for this – I find on a long day birding there is an advantage to being able to use my camera as a telescope while it’s switched off, and partly because with the long lenses here (say a 300mm F/4 with teleconverter, which is not too uncommon for people in this bracket) the evil cameras are too small to balance properly. However I think it will be a much more squeezed range than it is now. I think Sony’s SLT range unfortunately is 4 years too late and the SLT technology will not take off widespread, simply because they lack sufficient advantage over the evil system while still having the disadvantages of the DSLR and not having enough of an advantage over the DSLR while still having the disadvantages of the evil systems. Budget Full Framed DSLRs will remain and replace the mid-range and upper range APS-C format cameras with cameras like the rumoured D600, except for people who want the cropped sensor reach and this will fuel more demand of the mid-range FF DSLRs like the 5DmkIII and D800. Pro level DSLRs like the 1DX and D4 will remain and become more and more dual function camera / video cameras with massive connectivity for instant reporting from anywhere to anywhere. all cameras will gain some form up upload capability to Facebook, twitter, 500px etc as well as basic in-camera post-process editing functions. At some point the cameras will share photos with each other, realise that they can do a bette job than we can, use all this connectivity we’ve given them to organise the robot revolt and rule the world. Alternatively Lytro will fix / perfect the light field technology and completely make cameras as we know them obsolete and catastrophe will be averted. “The camera body might be smaller due to lack of a mirror and pentaprism, but lenses will still have to be big to accommodate a large sensor, making such a system tough to balance and handle” How would Leica M9 and its relatively smaller optics fit in the quote above? Personally I believe Leica M9 is mirrorless and M- lens are small yet they comfortably accommodate FF sensor in M9. A good point on the M9, but you don’t have any zoom lenses in this system, only primes, and the longest lens is the 135mm f/3.5. I would be surprised if you could get, for example, a 200mm f/2.8 in the small format (let alone a 600mm f/4). So while the Lecia is great for architecture, portraiture and street photography if you want a longer lens or more versatile lenses like a 24-70mm then you will find the optics will grow to be out of proportion from the mount and so become poorly balanced, so while the M9 shows it is possible, it is also limiting. James, I am with Mark on this one – M9 is a very specialized rangefinder camera with no autofocus capabilities. No AF motor means smaller lenses (for example, compare Zeiss lenses to Nikon/Canon AF lenses), since there is no AF motor. Zoom lenses also increase the size of lenses. I do not put M9 in the same category as mirrorless full-frame cameras in the above discussion. Its price point is way above what most people can afford anyway. Could it be that many DSLR shooter have Mirrorless cameras as well? I have a Nikon J1 that compliments my Nikon D4 for those moments I do not want to take the heavy-hitter with me. Also, with the adapter, I can slap on an FX lens and get very good results. Don, sure that may very well be the reason. However, there will be more people buying a mirrorless camera without a DSLR. That’s one of the reasons why I think that mirrorless will have a bigger market share than DSLRs very soon. Max, I am talking about current mirrorless cameras with APS-C sensors that cannot compete with full-frame sensors on DSLRs, similar to how full-frame DSLRs cannot compete with MF. This is purely a discussion of maximum sensor size. I think that mirrorless cameras are meant to replace point and shoot. Since camera phones are taking over what used to be point and shoot’s territory, the camera giants are smart enough to replace the point and shoot with something that smartphones can’t have: an interchangeable lens. I don’t shoot that much action, so since going mirrorless I am getting less and less use out of my DSLR. I feel that the X Pro1 has better image quality and high ISO performance than the D700. I bought into mirrorless for shooting outside the studio, but I find I am using it more and more in the studio too.The reason why I haven’t dumped my DSLR is mainly depth of field. I am really only keeping the D700 for portraits . None of the mirrorless systems have anything close to what a 85mm 1.4 or the more specialized 24mm 1.4 gives on full frame. I recently moved up from m43 to APS-sized mirrorless and it makes a big difference, but you still have to get close to the subject to achieve shallow depth of field. I would love to see a full frame mirrorless (other than the too expensive M9). Full frame will mean bigger lenses, but I would be comfortable with M-mount sized lenses. They are still a lot smaller than DSLR full frame lenses. As far as action is concerned, I think that mirrorless will catch up with and eventually surpass DSLRs for action, but it will take time – they need faster procesessing and better algorithms. As mirrorless catches on more R&D money will flow into this area and the gap will close. Thanks for a complete analysis of this difficult subject. Predicting the future cannot ascertain technological developments that can upset the applecart, such as the PC or smartphones. I’m with you on this one. I have already made the shift. I have D300s + 70-200 etc etc and it takes very good pictures …. but what a weight. It not only comes out for special occasions! I am now using a V1 with the FT-1 adaptor and a 16-85 lens. That virtually covers the whole of my normal ‘walk around’ shooting range and I seem to be getting as many, if not more, ‘keepers’ than I ever did. If I am really pushed for weight and size then the 10-30 an 30-100 lenses do the job – but unfortunately my preferred range is in the 25-75 region and the two kit lens break it for me. The 16-85 + V1 slips into my shoulder bag very easily, yet feels like a ‘proper camera’ when in use – enough weight for stability and a big enough lens to hold onto. It is my perfect compromise. I have just received a post announcing the (June) availability of a factory (Fuji) adapter for M class leica glass and earlier Fujinon lenses, to fit the Fuji X-Pro1. It is 3 part, one for the body, one for the lens, and a central tube to maintain the proper length from the sensor to prevent color shift et al. As it originated in the U.K. (the post) price was projected to be 179 British Pounds. I kind of feel like your classifying mirrorless as small format cameras where you have little mention of Sony’s entire SLT lineup being mirrorless. The Sony a77 is a formidable APS-C camera and still posses the traditional DSLR look and feel, as well as alpha mount lens compatibility. Also, Sony is rumored to announce the a99 very soon, which is most likely going to be a mirrorless full frame camera. Electronic view finders are not for everyone, but I think mirrorless technology and advancements in EVF’s will big very big in the near future in addition to these smaller cameras like the NEX-7. I would love you to review upcoming Sigma DP1 Merrill: www.sigmaphoto.com/. Sure, not a workhorse like a DSLR, but in many cases it may produce better images being much, much smaller. Mirrorless has changed what I as am amatuer and enthusiast look for in a camera. I’m quite happy with my D7000 which I mainly use for longer zooms/tele, like birds, some action stuff and macro. I don’t feel the need to upgrade it to a newer DSLR like when the D300 and D700 came out. On the mirrorless side things are a little different. I have tried out several systems. I’ve been quite happy with my GF1 and later GX1, but the handling/buttons anoys me. I also got the X100 last year and while the IQ is stunning I feel the need for (a mirrorless with) interchangeable lenses. Nikon J1 is my new P&S and if I decide to stay with it depends on what primes Nikon comes up with next. I’m a little on the fence about m43. Don’t like the current line of Panasonic cameras and may try out the E-M5 from Olympus. Meanwhile I’m curious about the X-Pro1 but the size and cost makes it hard to justify just for trying out. In my opinion still High Dynamic Range is a big issue for photography. We need a innovative tech jump on this aspect. Whichever brand invests this issue, they will win the game big time. High iso performances are growing everyday, however there is no camera still which can capture bright and dark together as our eyes see it!!! :((( they are still in stone age in this aspect. and my sadness, nobody talks about it, it seems everybody accepted that fact! I personally believe, mirrorless will take the lead within max 2years worldwide. Fuji already did it with IQ on x-Pro1. When this baby become grown up with a better AF at least as it is OM-D E5, there is no real reason to buy any other DSLR for 80% of photographers! Of course they need to be supported with nice lenses. Moreover future of cameras will be shaped with control buttons and wheels for EV, A and S mechanical controls (like is shutter dial of Leica and X-Pro1) supporting them much advanced and simple user friendly user interfaces integrated Apple’s like OS’s. Great work on your web site for Nikon, the best I have seen since you came on line. I had to come over from a smart phone review to share a shot with you from the Samsung Galaxy S III which I have reserved here in Cebu, Philippines. The shot is of a table setting, under the heading “Camera”. My stunned reaction was of course, that is as good as I could produce with my D3100, maybe better, which I would not admit. It’s clear to me the point and shoot market is fading fast, and Nikon now needs to be concerned not only with Canon, but now with Samsung. Any opinions on Samsung? NEX gets plenty of coverage (and poor lens selection), Fuji also is well publicized, but Samsung seems to have a lens-centric idea. The road map is great aside from their already serious line up. Have you shot Samsung mirrorless? Opinions? Getting great reads and like the latest Nikon bodies, seriously back ordered. What I failed to do in my prior post was to emphasize this shot came from a Samsung Galaxy S III smart phone. Hi Nasim and Co! Thanks a lot for your website and your posts. Ironically, the very next day I bought my first DSLR I found out about EVIL cameras. My first intention was to sell my newly bought camera and switch to a mirroless one. However, on my second thought I decided to stick to my D5100. “In a year or two,” – I thought – “when my Nikon will drop quite low in price, I may want to convert it into an infrared camera.” It can be advantageous to buy a mirroless body with a larger variety of lenses, better focus capabilities and other improvements by than (1-3 years from now). Having both an infrared DSLR, and an EVIL camera sounds not too bad for me. Sure enough, I cannot predict “infrared dslr conversion” practicality by that time, and might be damn wrong with my idea. What are you thoughts? Phil, I think I understand your point, Moore’s law does not effect the sensor pixel wells. But it does effect the logic on the sensor, and of course it comes into full play in all other integrated circuits on the camera and thereby indirectly giving us better exposure, auto focus etc, so to say that Moore’s law has nothing to do with cameras I feel is incorrect. Good article, thanks for sharing your insights. I have to agree that smart phones are taking over the compact point and shoot category; A couple of weeks ago at my daughter’s elementary school graduation ceremony, may be only one out of 20 parents carrying a DSLR? Everyone else was taking photos and videos with their smart phones. I think I only saw one parent using a camcorder. Mirrorless will be the mainstream camera for consumers, price will come down; Something cell phone can’t compete with: speed, zoom, depth of field, and low light; The DSLRs as they are today, are just too big and too ugly. 1)compact mirrorless, small form factor, lower price, smaller sensor, roughly size of 4-3rd or APSC; Lenses are also smaller, so that the camera body doesnt look like an accessory of the lens. 2)Full frame mirrorless, higher price for better performance, therefore larger lenses and bulky camera body; For full frame sensor, taking away the mirror really doesnt make the camera much smaller, physics has limits and sensor size will dictate lens size; Then what’s the point of getting rid of the mirror? Video with fast autofocus! there will be a new category of compact prime lens for full frame, but most of the zoom lenses will stay in current form factor and mounting interface; Auto-focus motors will be all upgraded to kill the focusing noise. 1) Phase detection auto focus will be built into imaging sensor, therefore autofocus speed without the mirror is as fast as DSLR and even more accurate with contrast detection assistance. 2)Electric viewfinder will be as good as the optical view finder, and even better with more overlay of displaying camera info. All should not take more than a few years, there has to be heavy investment in R&D in mirrorless cameras. I bet the engineers at Canon or Nikon are already testing some prototypes in their labs. 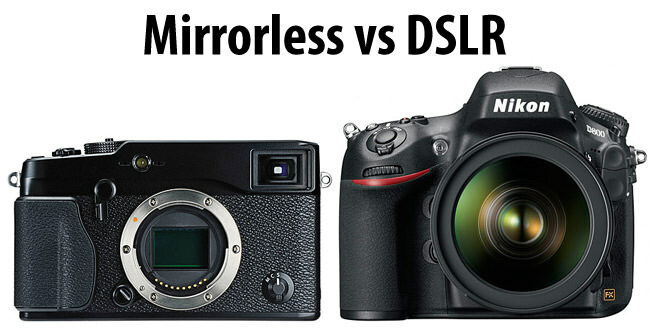 Mirrorless cannot replace DSLRs. Enthusiasts and pros will always need DSLRs for their captures. The bulk of these bodies and lenses are the systems they have become used to don’t complain much. Moreover, these days some telephoto lenses are getting lighter making it more convenient for those photogs. So, forget replacement of DSLRs. Let mirrorless or SLTs find their ways into the beginners’ hands. “Mirrorless” strictly speaking only means that there is no flipping mirror inside the digital camera body, not necessarily means that the sensor is as small (compare to full frame DSLR) as what’s inside the mirrorless camera. I believe in the future, cameras will be categorized only by sensor size (which determines the body size and lens size), NOT by if there is or is not a mirror inside. So, let’s take a look why there has to be a flipping mirror inside the camera. All camera will have video recording, which makes it even more desirable to remove the mirror. At the moment there is still a mirror in DSLRs, because the auto-focus is still not perfected, and electric view finder is still not as good as the optical view finder, but I bet again the camera companies are working hard at these things, and they will become much better in a few years, that where the Moore’s Law come in. I have been very curious about the future of cameras, reading this article and the posts helped cleaning up my thoughts, all of sudden the future become clear now, my crystal ball works! We can also omit the word “digital”, because, film is dead already. Use cases: convenient, it is with you all the time. Needless to say, all will have video functions, so camcorder will probably disappear too. Camcorders and dedicated video-cameras are different that the video capabilities of DSLRs: better mic, XLR and more HDMI ports, form-factor, greater frame-rates, different lens-mounts to name a few. In all honesty, the video-DSLR is a different paradigm from the Camcorder/Video-camera paradigm; the DSLR is great for multi-media and for on-the-go video; the Camcorder/Video-cameras is great for better sound, better frame-rates (less dropped frames as well), and better lenses for video –focus-pulling and all that. (Sound and Sight are equal in filmmaking, in that DSLR video needs to seem real, whereas filmmaking requires a compelling quality of acoustics.) The ergonomics of a camera on the shoulder is so much different than in your hands. Thus, the use of DSLR for video in a Camcorder/Video-camera way is a cheaper or convenient alternative, not an outright replacement. Only a lighter body won’t remove all bottlenecks. Especially the sports and wildlife shooters need heavy super-telephoto lenses for their shots. The DSLR body accounts for roughly 15% of such a system (lens+body+tripod). Therefore, even if the camera body weight gets reduced by 50% on being mirrorless; that will produce a reduction of say 7 % of the entire luggage. Is that enough to motivate those photogs? Contrast detection autofocus of today mirrorless systems is already more precise than phase detection autofocus of leading DSLR-cameras! Example: number of almost perfectly focused shots of Canons 7D compared to the Lumix GH2: 40,2% versus 85,3% !! (source: Color Foto magazine, Germany). For many purposes, “serious” photographic work is already possible with mirrorless cameras – without the weight, bulk and price of DSLR-systems. With the exception of wildlife, speedy sports, and studio photography mirrorless systems could soon replace most kind of DSLR-systems. That doesn’t leave much else other than birthday parties and family picnics…. I have a J1 that I use for the very few times I don’t mind having my D4 with me and I can say the comparison is not even close. Great that you have someone writing on paper but I tend to follow real world experiences. For that reason I changed to Panasonics mirrorless Lumix G-System, which offers excellent ergonomics and handling, good to very good image quality (in RAW mode), as well as some very fine lenses – and weights only one-third of my previous Nikon-equipment! I do not claim however that my Lumix GH2 can replace a high-end DSLR-system for every purpose! There is still a lack of high-quality fast telephoto-lenses and long macro-lenses, performance (frames per second, continuous shooting / buffer capacity ) is mediocre, and the the autocus tracking system does not match high-end standards. But I have no doubts that the system will rapidly progress and overcome these drawbacks in the near future. As of today, DSLR outperforms mirrorless not because it has the mirror, because they all have bigger sensors; Today’s DSLR also shoots faster than mirrorless, that is because phase detection autofocus (that requires the mirror) is still faster than contrast detection (no need of the mirror) autofocus; But this will change, either contrast detection gets faster with faster electronics and more powerful processor, or they will build the phase detection into the imaging sensor. That is when all cameras will eliminate the mirror. It really is the size of the sensor, not the mirror, that sets the cameras apart. As senor size increases, performance gets better but both lenses and camera body also get bigger, and of course, the price goes up too. Sensor size ist important – but not the only relevant factor for image quality! Up to 800 or even 1600 ISO mirrorless cameras based on a Four Thirds (FT) sensor can produce high quality image files comparable to most APSC/DX-DSLR cameras, given they are equipped with high quality glass. With my Lumix GH2 combined with the Panasonic 7-14mm /f 4.0 (a 300 gram = 10 ounces lens) I can even compete against any FX-system equipped with a heavy and bulky 14-24mm or 16-35mm lens. Of course FX-systems produce cleaner files with their much bigger sensor – but for most practical purposes this is not relevant. National Photographic photographer and Pulitzer price winner Jay Dickmann worked and still works with Olympus FT-sensor cameras – and nobody ever complained about the technical quality of the images he produced with that equippment, as far a I know! Probably the only shortcoming of Mirrorless camera is; absence of real-time viewing. If they can fix this issue (which seems unlikely), things may start to change dramatically. Until then, DSLR rules and we oblige albeit, not happily always. Wait a minute; is mirrorless camera sth new? Aren’t all the Point & Shoot cameras mirrorless? I have been using both a Nikon V1 and the D7k. I’m planning on getting a D800E later in the year (hope the AF issue will be gone by then). I agree with you in general terms but I think ML will be moving up the camera foodchain, and will eventually eat the low to mid range market. Actually, I think both Nikon and Canon will eventually have ML systems at all levels, including FF. It’ll start with the good off-sensor PDAF system of V1 being used in a hybrid model for LV and video. ASA the EVF gets closer to OVF, we will see cameras at the D7k level going mirrorless, then at D300s’ and so on. It may take, 2, 5 or 10 years, but my guess is that the OVF will be used only in specialized models, likely only expensive pro models. Actually, even for action, when the PDAF becomes better adapted to lower light conditions, it’ll be better for action, covering the whole frame, unlike mirrorbox systems. What is the future of DSLR cameras, or more to the point, what is the future of Nikon? For me, Stefan’s comment “serious shooting” is key. So many of us buyers of expensive photo equipment, so many of us are conditioned to think those great pictures are just one more extra lens away, or if we only have more megapixels. Wrong. The Sony RX100 just absolutely blew a hole in that kind of thinking. Here is the second camera for the professional, which means the first camera for the rest of us. I am not selling Sony, but the camera in the Samsung Galaxy S III smartphone is from Sony. True, the RX100 retails for $643 on amazon, but what if that is the camera you need to keep long enough to learn, without buying more gadgets? Meanwhile here is Nikon, stuck in D800E land, giving Sony more time. I think Sony eats their lunch. Casual cameras will disappear into cellphones or similar devices (pocket computers). Serious cameras will continue to do different things for different audiences, but expect them to converge too. At some point someone will come up with a form factor that suits both video and still photography well and chop away a huge chunk of the serious camera market. How about the adapters to use DSLR lenses onto mirrorless and their usefulness? Use of adopters is likely to push the aperture down to narrower stops. Am I right? Adapters really only make sense in two cases. One, where the lens is all manual and has an aperture ring. Or two, where the lens being adapted is semi-native for example 43 lens on m43 body. While I have used manual lenses on my m43 bodies and they have been great – the tend to be heavier and obviously slower to use – no AF. But since the lenses can be great and cheap it’s an option – especially for macro where there aren’t many native lenses and manual focus is fine. As for using semi-native lenses I would avoid it unless you already own the lens. They tend to be far too big and the AF slow. Otherwise, there is usually no loss of f stop with an adapter and with old manual focus lenses since only the middle of the lens is being used they can perform better than on the original camera body. Thanks for the great work you and doing and sharing your knowledge / perspective with all of us. Love your site. Eagerly awaiting your review of the Olympus OM-D to make my decision and take the plunge. I just received an offer from amazon.com, the Nikon D5100 originally released on April 5, 2011 and priced at $849, is now offered for $647, a drop in price of 24% in less than a year and a half. The Sony RX100 point and shoot camera currently sells on amazon.com for $648. A coincidence? Not so much. In my humble personal opinion, with all due respect to all the Mansurov pros out there, this says Nikon is vulnerable not only at the DSLR entry-level, but also at the mid-level DSLR price as well. One more blockbuster like the RX100 by Sony could do some real damage to Nikon’s market for removeable lenses. If I only had more megapixels, I could have gotten that shot I wanted. Surprise, surprise! The rover Curiousity is traveling the surface of Mars with 17 cameras, four of which are high-resolution at two megapixels. Observe how many of us are convinced beyond any reasonable doubt, that paying for more than seven megapixels is worth it. That’s me, I bought a new D3100. Imagine all those megapixels in an entry-level Nikon. Does the blockbuster point and shoot Sony RX100 really need 20 megapixels and cost $650? If NASA doesn’t need a sharper picture from millions of miles away, why do you? If Nikon put an APS-C sensor in their Nikon-1 body, would it be capable of similar performance to a D7000? The 1″ lenses don´t cover all the APS sensor surface as the mount. Nasim, I agree with all your views, however, I still believe that the concept and design of SLR cameras is old and long overdue for replacement, just as peephole camera’s of the past were superseded by newer technologies, Single Lens Reflex system is due for a radical redesign, the pentaprism and mirror have been with us for ages (Since 1861 in cameras) and are mechanically limiting factors in many respects, even though current technologies using super light weight materials like carbon fibre etc. make for very precise and fast mirror responses, not having these at all would definitely be beneficial in my view. Apart from the benefits of less moving parts and therefore smaller form factors, other areas that will see huge improvements will be the videography aspect of these cameras, improving in leaps and bounds going forward where a convergence of the technologies will eventually happen perhaps in the distant future mostly for commercial/marketing reasons rather than technological limitations. Well, I supposed the question about mirrorless (or miniature) cameras versus large DSLR was triggered by some post of last week referring to Moore’s Law. Too ad for the d600, d800 and the likes, for half the price a Nex7 takes as good or better pictures…. Samsung is engaged in using one of the cleverest marketing ploys around to sell the coming Samsung Galaxy camera. They are using the darling five-year old girl artist, Aelita. Samsung combines the world-wide recognition of the artist with the camera as another way to create art, with in-camera processing, then instant connectivity. Little artist, Aelita Andre and the Samsung Galaxy camera prove that brilliance comes in small packages. Five-year-old Aelita’s colorful paintings have been exhibited around the world since she was two. Now she wants to try photography. Watch out for our next video to see how she’s come to fall in love with taking pictures. Great responses but I would disagree with the comments that the camera phones will be better than point & shoot digital cameras. In its current configuration there is no way to get even a 4x optical zoom in a phone. Think of a camera phone as a Kodak Instamatic on steroids. And then buya real camera. I don’t think DSLR is here to stay. It became obsolete the day Sony A7 was announced. The only “true” way of composing your image is looking through the sensor. Similarly, on-sensor PDAF is philosophically the “right” way to do it. Of course there’s some inertia with many people being heavily invested in Canikon glass, therefore it will take some time until this breed “dies out” (not meant to be rude). Canikon systems are tried and tested and reliable and there’s no incentive for invested people to abandon them. But this will gradually change in favor of full-frame mirrorless cameras. P&S are doomed because of smartphones and current “crop” mirrorless might occupy a certain well-developed niche as a lightweight alternative pro or enthusiast system. What I’m trying to say is – mirrorless will rule one way or the other but we don’t know for certain which sensor size will become the norm. I’ve been expecting a mirrorless digital ’35mm’ for almost ten years. I absolutely agree about the sensor size. I cringe when I look at anything but snapshots shot with my iPad or someone’s phone. SLRS were ‘obsolete’ for their entire history. The lag time caused by the mirror, made the “Decisive Moment” nearly impossible, the light loss of the mirror/penta-prism further interfered with shooting, and the added weight of the mirror, larger lenses, prism…. well, I put up with it, but I haven’t replaced my D2X because there’s no longer any reason to put up with dead optical technology. Three points. Shutter lag, Rangefinders are fast and lens size. 1. Shutter Lag. The Nikon DX and the 2DX were the first SLRs with almost no shutter lag, almost as good as the old rangefinders, like Liecas, or the Cannonet 35mms I’d buy for $80 in the 70s. Losing that mirror solves a lot of problems. When I shot the DX I noticed I could capture fleeting facial expressions that I never could with all the film SLRs I’d used for years. I was angry with myself that I hadn’t been using a Leica for all those years. 2. Losing the huge penta-prism accomplishes several things, Cuts down on weight, size and the need for complex Retro-focus lens designs on anything shorter than 50mm (a 20mm f2 lens for 35mm film is actually tiny and in expensive, unless you need to swing a huge mirror behind it. Then it has to become bigger, optically tricky, so it can focus at 50mm. I’m still waiting for the ‘3rd Gen’ camera that will do what I want. As someone who shot 35mm, 6×7, 4×5 and 8×10 for 30+ years, bigger sensors are needed. Maybe not 4×5, but 6×7 would be nice. A photo shot through a scratched uncoated lens, with a chip in it, on an 8×10 will still have a better texture, feel and quality than the best small sensor digital. I can’t bring myself to buy another DSLR. Thanks for your blog. The cell phone, these days, are my primary go-to for picture taking…even when it come to garden photography at our local park. Why? Well it’s the only thing in my pocket at the time and for that range, it is perfect. I use a Windows phone with the Carl Zeiss optics and it is magnificent. I have an SLR (OMD EM5), but I chose this because of it’s compact features as well. If I’m going to an event and intend to take full blown quality photos, I will take the DSLR, but the I would say the smart phone has taken away significant shares in the camera market on it’s own. Especially, with the somewhat underground add-on lens scene for iPhones and Androids. But isn’t Sony A7RII is a full frame mirrorless Camera? Ah – i see this is an old article ? i got confused by the last updated date. Panasonic did not invent the mirrorless camera. Take your heads out of the sand guys; DSLRs are in the agonies of a slow death; they are becoming technological dinosaurs. Kodak was slow to accept change – gone, gone, gone. You want medium format? Try Fuji (rumoured to be upgrading their present 50mg sensor to a 100 mgs), or Hasselblad’s medium format mirrorless. We are in the technological age! Nowadays I prefer a compact mirrorless APS camera as the A6500. Side EV, tilt screen, integrated flash, IBIS, touch-screen, fast and versatil PDAF, good stills and very good 4K video, but I´d like more compact and less expensive APS lenses. I tried the Lumix MFT GX-9 but its slow and hunting AF with action subjects and lower still and video quality disappointed me.